It is finally here...... 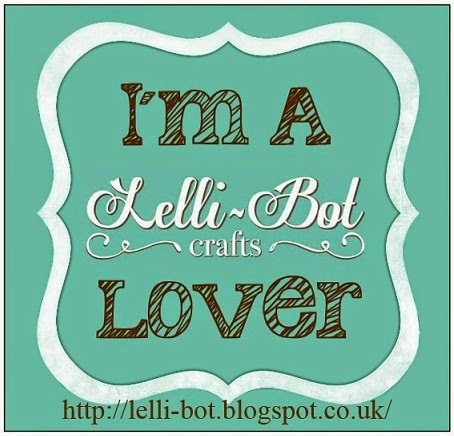 The launch of the Lelli-Bot Crafts first four Collections. I have been asked to add a little bit about me, so here goes! My Name is Lisa Tyrell and I am 33 (nearly 34). I love in a small village in Lincolnshire with my mum, dad and fur baby Winston. 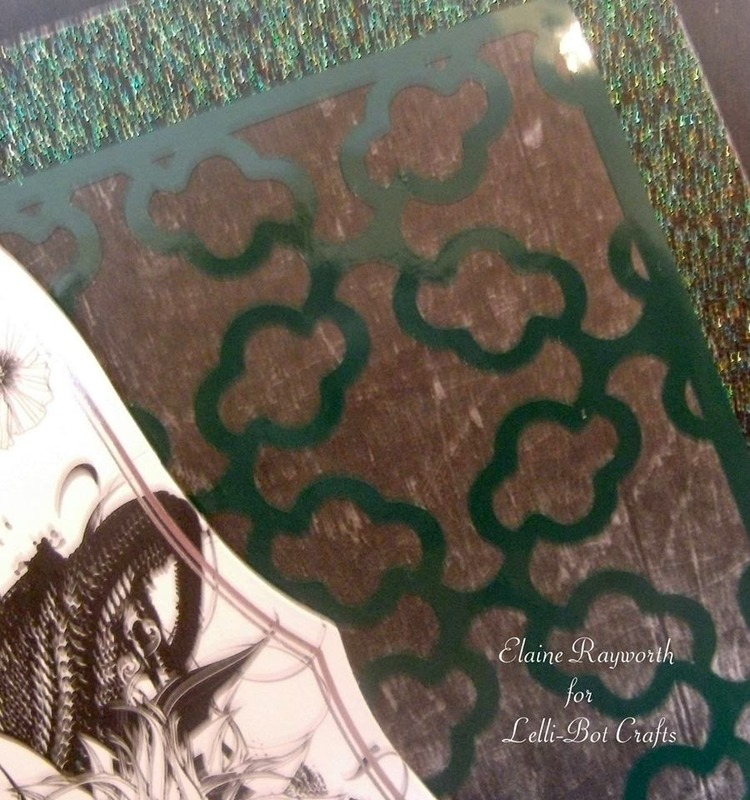 I have been crafting since about 2009. 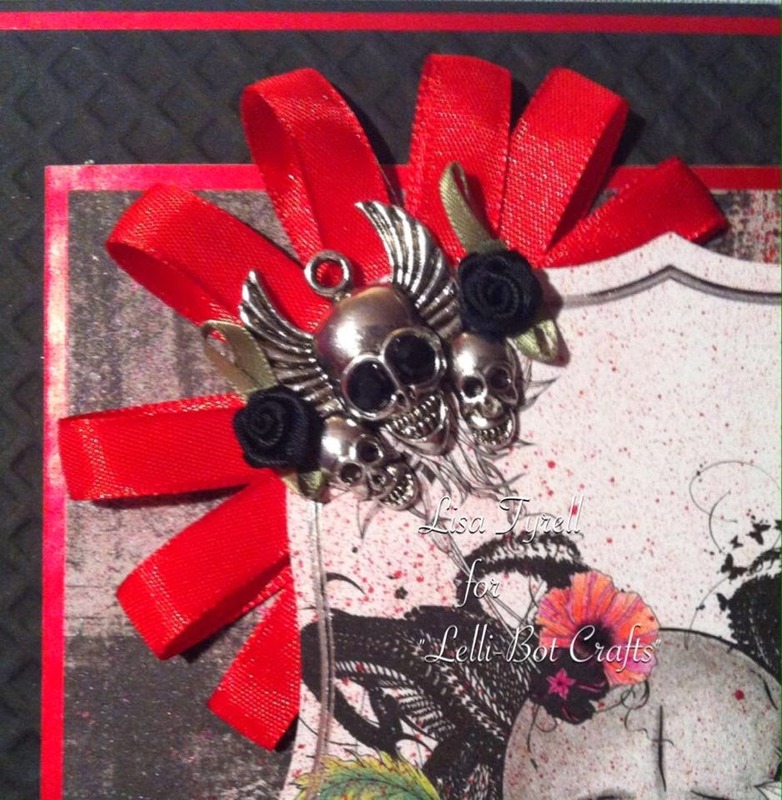 I started crafting during a very dark time of my life and I haven't stopped since. 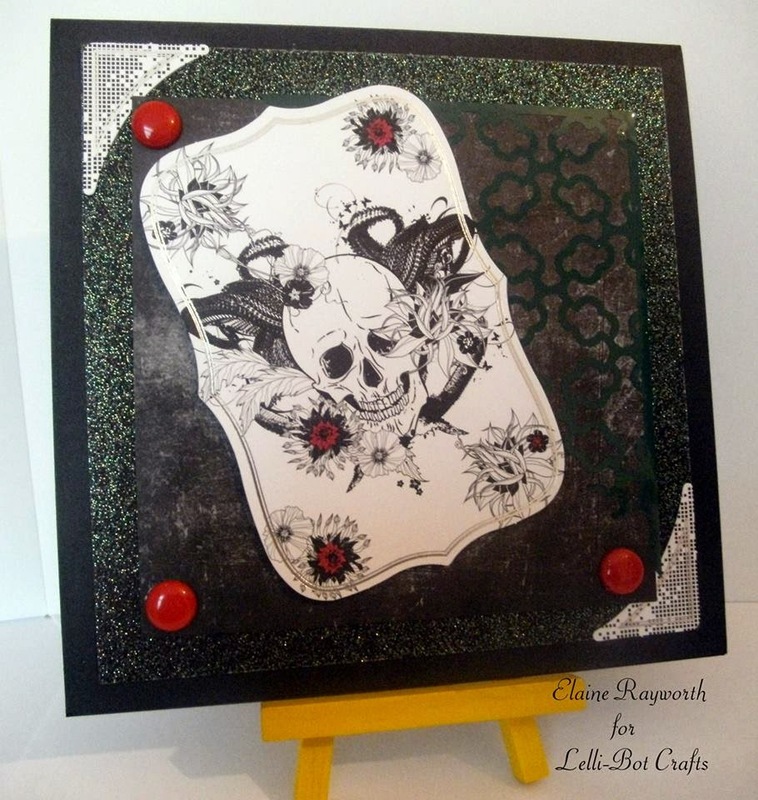 My main passion is Card Making but I will take myself out of my comfort zone to try other things from time to time. 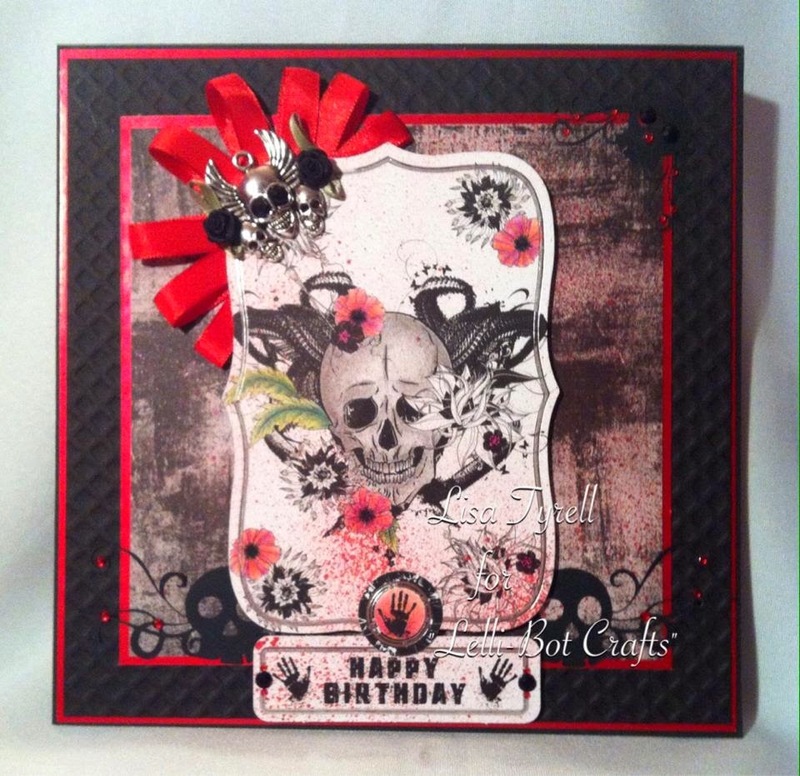 I started off making really cute and girly cards but I am now a member of three dark/alternative/gothic/grunge Design Teams. I love my girly stuff and dark stuff equally. 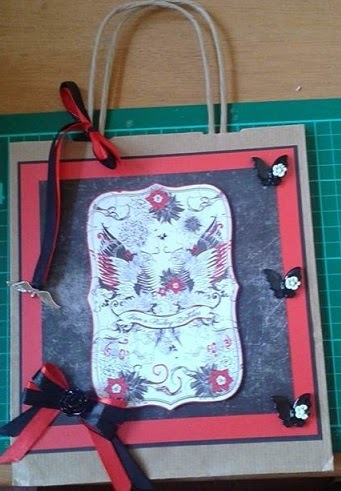 Each day this week we will be showcasing a different Collection and what the amazing Design Team has made with the kits. 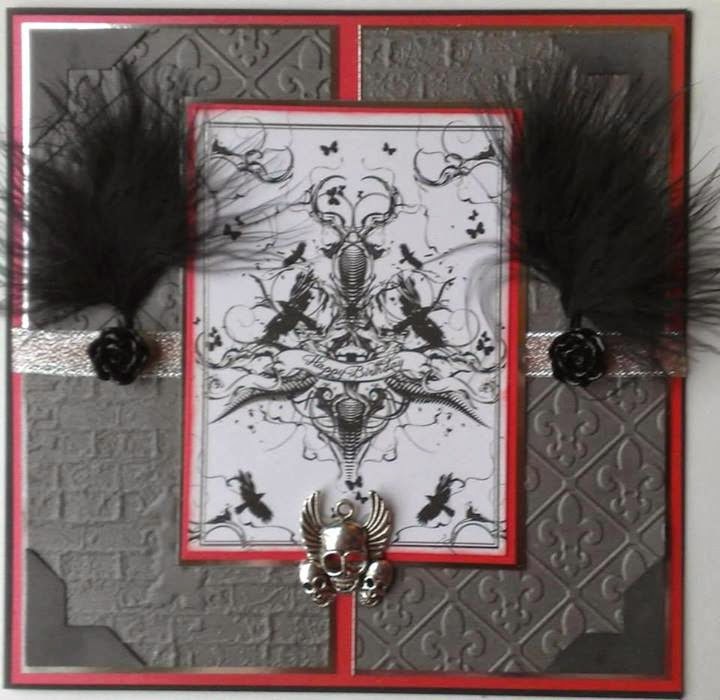 Today I will be showcasing the 'Gothic Grunge' Collection. 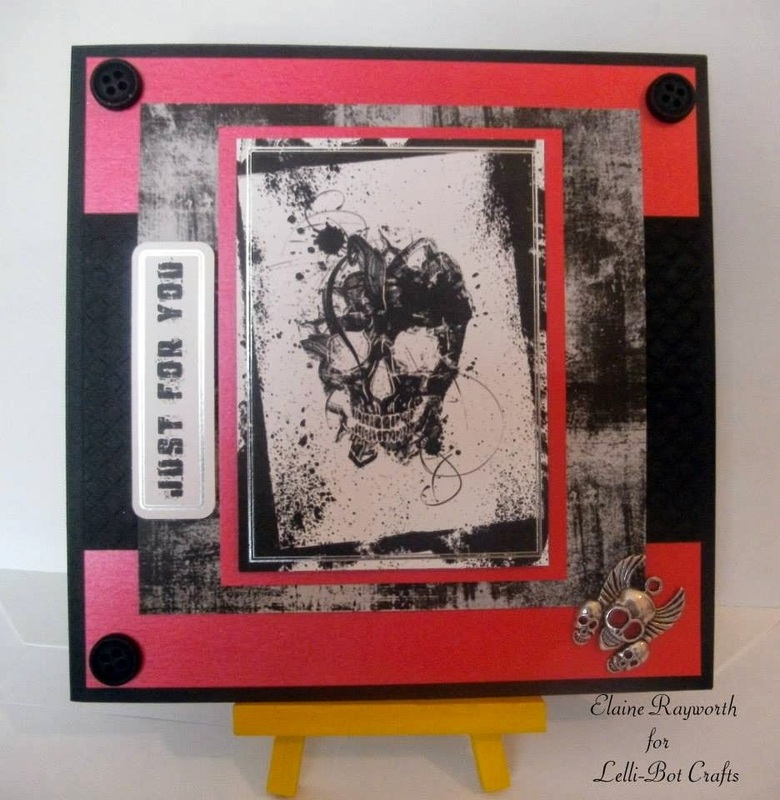 This collection is a great way to make great alternative themed projects. OK, so this isn't to everyone's taste and it wasn't to some of the Design Team members. When they got the kits and started playing with them they thoroughly enjoyed what they were doing and the end results. 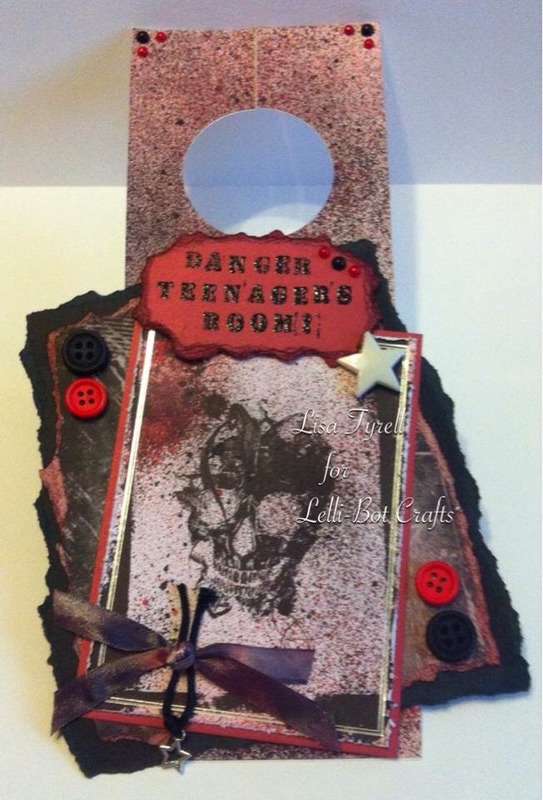 The images aren't too dark and can have colour added to either make them more dark or brighten them up. All I can say is let your hair down and explore your darker side....You won't regret it, you might even like it hehehe! 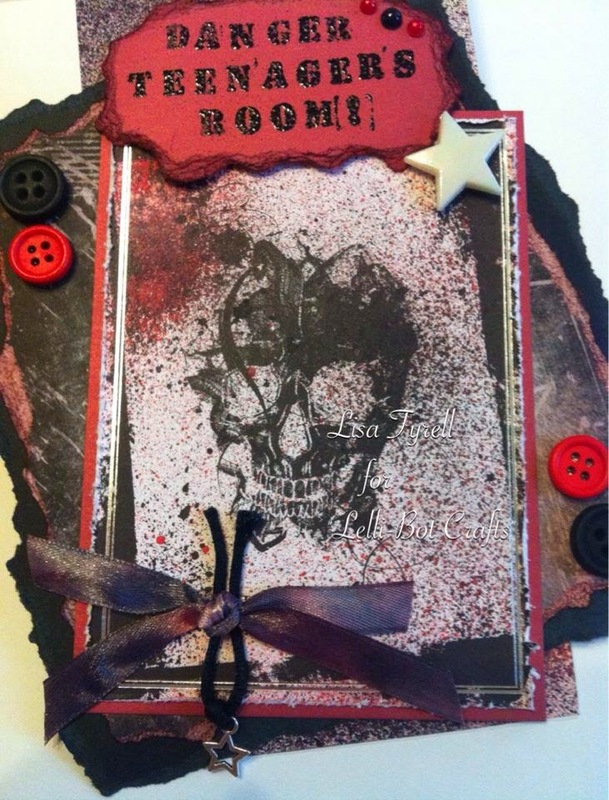 Here is what the Design Team have made with the Gothic Grunge Collection. As you can see, the Design Team have done an amazing job with this absolutely gorgeous collection. Come back tomorrow for the showcasing of the next collection, it's another stunner! Great work everyone! Lisa you've done a fabulous job! Thank you lovely lady. The samples look brilliant don't they?! Stunning samples ladies. Good luck to all at Lelli-Bots. 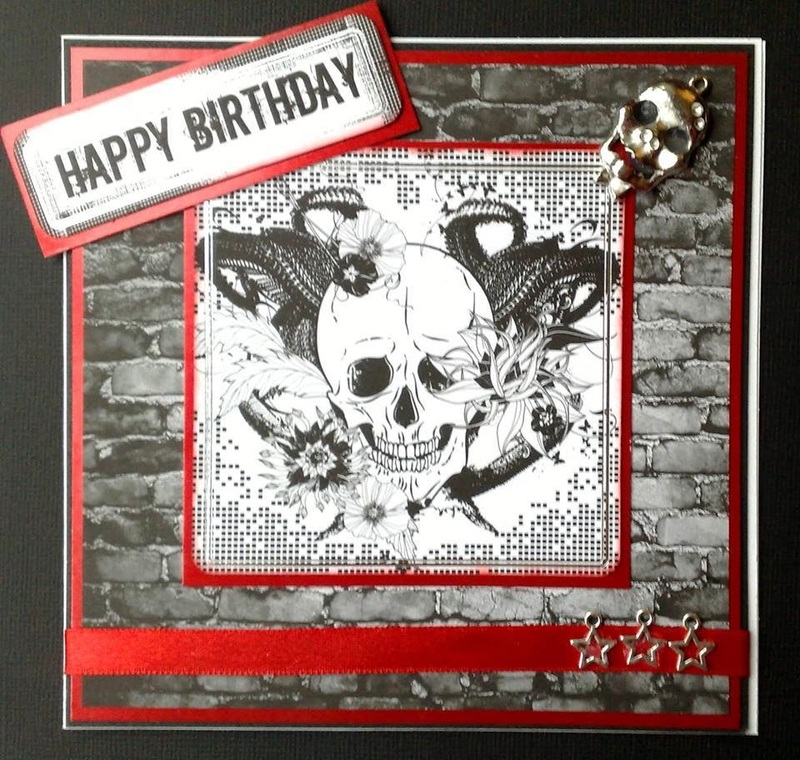 As you know this is not my style, but I can appreciate the work that the DT team have done - super cards. 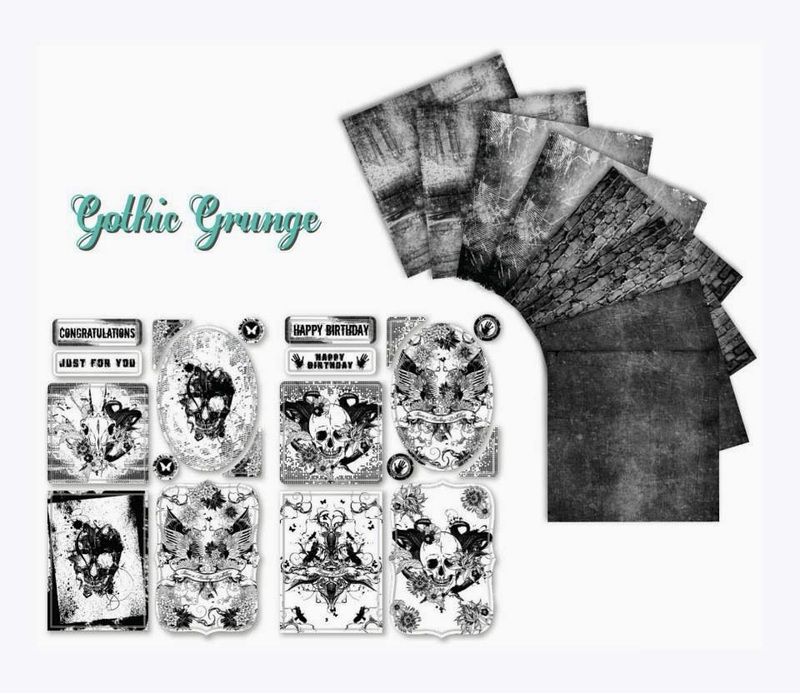 Wow i so love this set and it would make perfect cards or a canvas for eldest boy who is into anything skulls or goth :) Love it! !